The role of added sugars in the diet is hotly debated, with opinions on sugar ranging from toxin to little more than a cavity risk. In this study, published in JAMA Internal Medicine, Americans who consumed the most added sugars in their diet had more than double the risk of dying of heart disease than those who consumed the least. While sweets have been a part of the human diet for hundreds of years, we seem to have an ever-increasing appetite for them. The study examined data from the National Health and Nutrition Examination Surveys conducted over the past 25 years and looked for deaths attributed to heart disease in survey participants over the same period. Researchers found that consumption for most Americans is between the 10 – 20% range, which is enough to increase your risk of dying from heart disease by almost 40% – even after you have factored in other variables such as age or smoking status. While this type of study does not confirm direct cause, the large number of participants and robust methods of collecting data make a very strong case for the linkage between sugar and death from heart disease. How could sugar be such a scourge on human health? 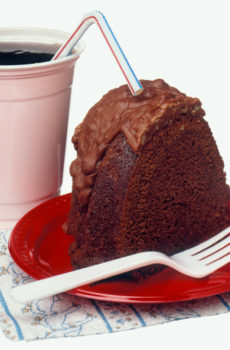 In excess, sugar consumption leads to high blood sugar levels, stressing the blood sugar regulation system in the body. Sugar consumption is also linked to blood pressure, raising blood fats and promoting both weight gain and chronic inflammation – a leading risk factor for chronic disease of all types. However, it is important not to let this study worry you about naturally occurring sugars in foods such as fruits and vegetables. The study specifically excluded naturally occurring sugars, including those found in fruit juices. In our opinion, this study provides further motivation to move your diet in the direction of healthy, unsweetened whole foods. A spoonful of sugar won’t knock you out; in the context of a healthy diet, filled with whole foods, there is room for a cookie every now and then. Where the real danger exists is when manufactured, sweetened foods take the place of truly nutritious foods. Cut your sweet tooth…extend your life.